LOW Not much gameplay in this game. WTF That was the whole thing?!? Storm Boy is based on a 1964 book of the same name by author Colin Thiele. 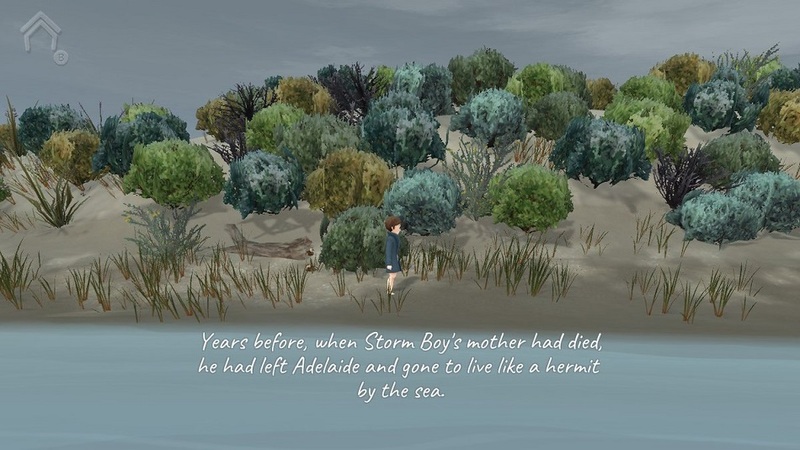 Players take control of the main character, Storm Boy, who lives along the Australian coast with his father, Hide-Away Tom. 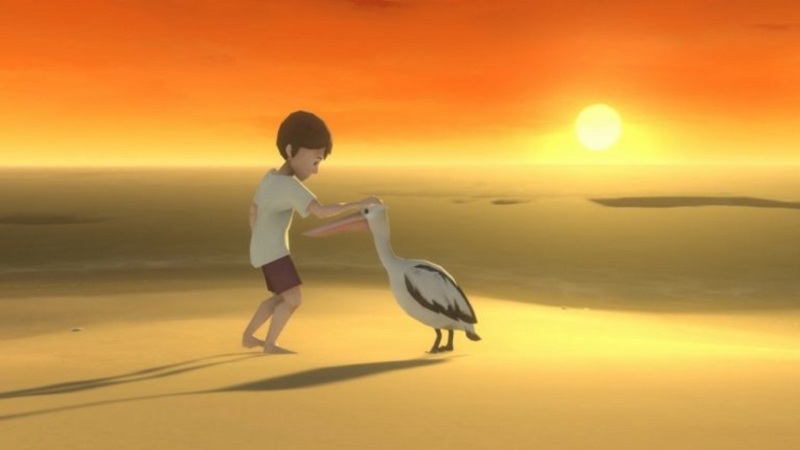 Storm Boy explores the beaches near his home and one day comes across three abandoned pelican chicks. He develops a strong bond with one of these pelicans, who Storm Boy names Mr. Percival. Even after being released back into the wild, Mr. Percival and Storm Boy are inseparable. The story does a decent job exploring themes of friendship and tragedy, but even without having read the novel I couldn’t shake the feeling that the game delivers nothing more than a brief summary of the original tale. 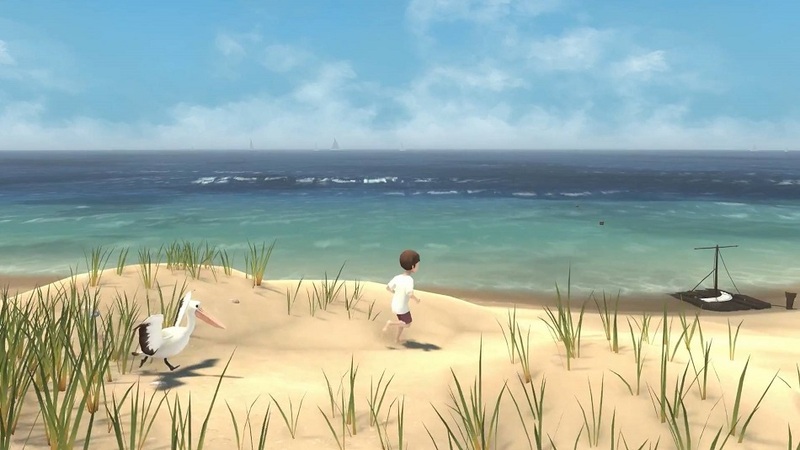 Storm Boy allows players to explore a beautifully-crafted beach full of various coastal birds and beach vegetation. The devs use slightly cartoonish graphics and muted colors that remind me of charming acrylic paintings. Whether it’s a storm on the horizon or a sunset hitting the dunes, Storm Boy is a feast for the eyes. However, beyond the art direction there’s not much of substance here. Exploring the shoreline is very restricted – players only move left and right. Everything that needs to be found is easily located by walking in one direction, with no actual searching. Minigames like finding cockles buried in wet sand, tossing fish to pelicans, or drawing pictures with a stick never truly felt like games. Finding shellfish isn’t required for sustenance, drawing a picture in the sand doesn’t relay any message, and none of the activities accomplish anything. In fact, most feel like proof-of-concept mockups for a larger game – they’re neat features, but nothing to spend any amount of time with. Only one of these mini-games was needed to complete the story, and it’s the only time I felt as if there was some actual gameplay happening. In this instance, players control Mr. Percival during a small storm and deliver rope to a stranded ship. Unfortunately, even this moment was fleeting, and over almost as soon as it began. Disclosures: This game is developed by Blowfish Studios and published by Level77. It is currently available on Steam, PlayStation 4, Xbox One, Nintendo Switch, iOS, and Android. This copy of the game was obtained via publisher and reviewed on the Switch. Approximately 1 hour of play was devoted to the single-player mode, and the game was completed. There are no multiplayer modes. Parents: According to the ESRB, this game is rated E10+ and contains Mild Violence. The violence in question is very mild, less than one second in length, and not directed towards Storm Boy. There is no bloodshed or other graphic depiction. Parents should feel comfortable allowing children of any age to play this game. Deaf & Hard of Hearing Gamers: The entire story including dialogue is delivered via text on the screen. Text size is not adjustable. 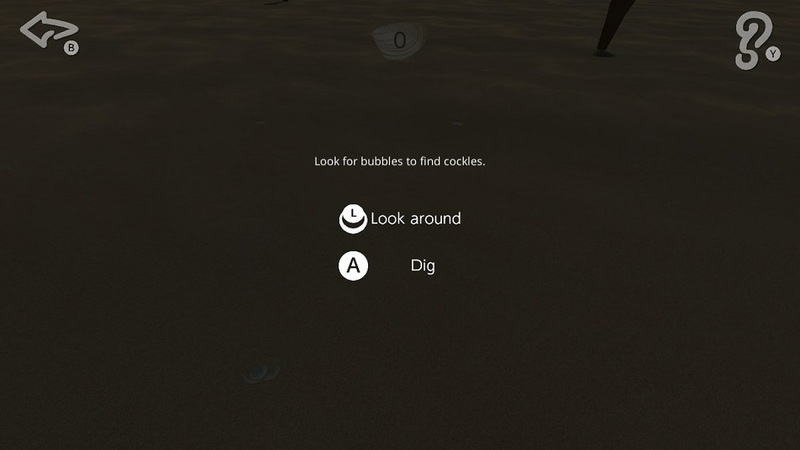 Areas that allow players to interact and play mini-games are shown with a little icon inside a bubble. The game is fully accessible. Remappable Controls: No, this game’s controls are not remappable. There is no control diagram. Players use the control stick to move left or right on the screen. The A button is used to interact with locations on the screen. Mini-games have a control screen that can be accessed with the Y button (one example is below). The B button exits from the mini-games. Many of the actions, like digging for shellfish and throwing fish to the pelicans can also be completed using the touch screen.